Harp Ensemble, directed by: Monika Vasey. Monika Vasey is a freelance professional harpist in the Washington, D.C. area and is in high demand as a performer, teacher and lecturer. In addition to her work with the MCYO Harp Ensemble and Orchestras, she teaches at the Levine School of Music and the Concord Hill School, previously serving on the faculties of the Settlement Music School and Howard County Public Schools. A graduate of the Peabody Institute of Music at Johns Hopkins University, Ms. Vasey holds a Masters degree in Music Education as well as Bachelors degrees in both Harp Performance and Music Education. Intensive study programs include the Young Artists Harp Seminar, Saratoga Harp Colony, and the Symphony Orchestra Academy of the Pacific. 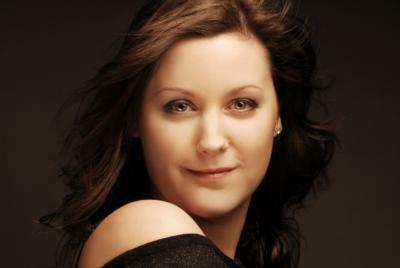 She enjoys performing as a soloist and orchestral harpist, as well as doing freelance and studio work. Recent performance highlights include the Kennedy Center Honors Reception, as well as performances for the President of Liberia and the President of the United States. An advocate of new music compositions for the harp, she has performed with numerous associations including the American Harp Society, The National Philharmonic, Delaware Symphony Orchestra, Mid-Atlantic Symphony, Apollo Orchestra, Columbia Orchestra, National Cathedral Choral Society, Montgomery Philharmonic and Virginia Grand Military Band. Ms. Vasey is a regular contributor to a number of educational and musical journals and has special interest in the development and adaptation of musical instruments for people with physical limitations. She is also a grant researcher for MCYO.